Do not be discouraged. Do not be let down. Do not let the Satan win and give you discouragement! For God has won! He has defeated death on the cross! And he promises us something. He promises us everlasting life if you have faith in him. Before I continue you, I want to reach out to you on a personal level, if you are being discouraged. I understand. I know what it’s like. I feel that sometimes but I have to remind myself to not be discouraged. What type of discouragement am I talking about you may ask? Discouragement of all kinds but most importantly, when it comes to your faith! Brothers and sisters! Christ says if you have faith as small as a mustard seed you can move the mountains(Matthew 17:20)! The world wants to discourage you. The world mocks you and I cause we are different. But don’t let that discourage you! The Holy Spirit is with you daily. Jesus is with you. Go to him. Go to his word daily. Psalm 34:17-19 – When the righteous cry for help, the Lord hears and delivers them out of all their troubles. The Lord is near to the brokenhearted and saves the crushed in spirit. Many are the afflictions of the righteous, but the Lord delivers him out of them all. I don’t even have to talk about the verse. It speaks for itself just like every other verse. Isaiah 43:2 – When you pass through the waters, I will be with you; and when you pass through the rivers, they will not sweep over you. 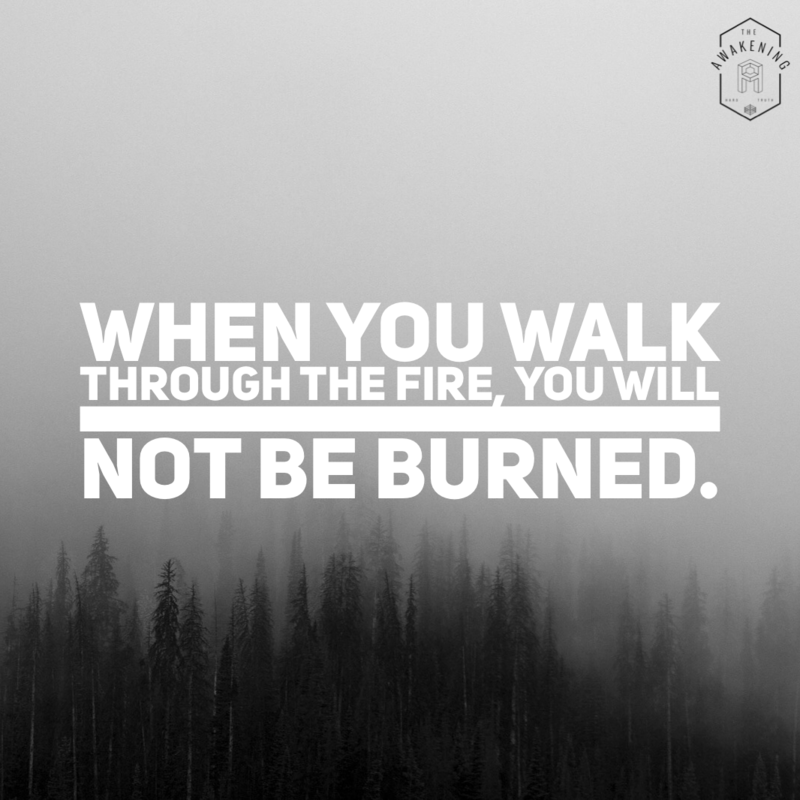 When you walk through the fire, you will not be burned; the flames will not set you ablaze. The Lord is with you! Be encouraged brothers and sisters! Our reward is in the end! Have faith.